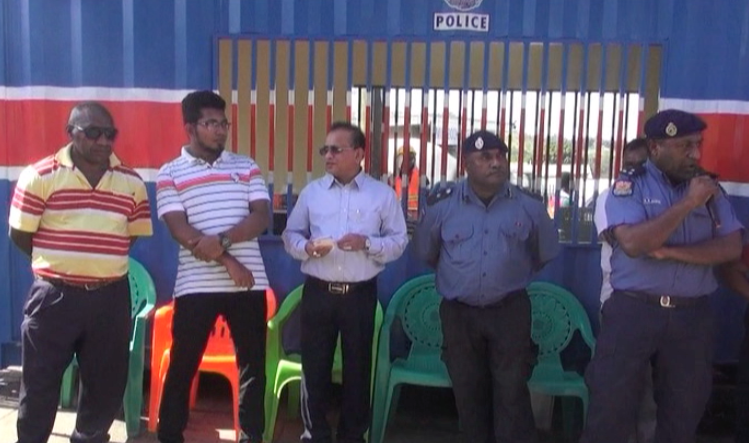 A Bangladeshi Business man in Port Moresby today took the initiative to set up a cop shop in front of one of his shops with the aim of curbing down on petty crimes around the area. Owner of KR Enterprise, Kalam Rahman, is the owner of the Happy Supermarket at 6mile who set up the cop station at a cost of around K20, 000. The Cop Shop was set up after the store line at 6mile have been facing petty theft issues in and around the shop and as well as harassment cases against women. 6mile Police in partnership with the owner of Kalam Rahman Group of Companies or KR Enterprises today, opened the Cop Shop today at 6mile. The shop line in front of 6mile bus stop has not only served the communities at 6mile, but also the villagers along the Magi Highway who come to shop there. Happy Supermarket owner and KR Enterprise Managing Director, Kalam Raman, said the cop shop is not only for shop customers but will be open to the general public. There will be 6 police men stationed in the cop shop 24 hours to serve the general public. 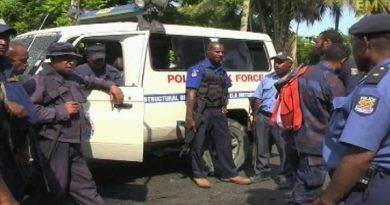 Although the men power at the police station is lowest compared to the growing number of residents at 6mile, the community were encouraged to take ownership of the cop shop. NCD operations Commander, Chief Inspector Michael Tilai, commended KR Enterprise for their initiative as well. The small container facility was equipped with two wall fans, a desk and a chair for an officer, and chairs for complainants. Chief Inspector Tilai and Managing Director for KR Enterprise, Kalam Rahman, opened the facility today. 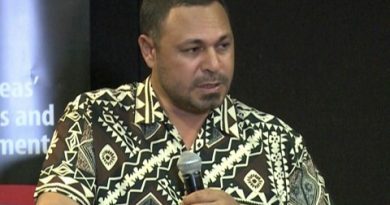 Journalist, Staycey Yalo has been working with EMTV since October, 2017. 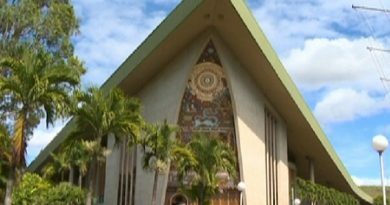 She graduated in 2017 from the University of Papua New Guinea with a Bachelor of Arts in Journalism and Public Relations. Staycey's experience extends to three years in the Print media covering Politics and Education.